"I use a multidisciplinary approach to the treatment of pain, infertility, stress and depression to help my patients in all areas of their lives." Ranie Ledoux, TCMP, RAc is a Traditional Chinese Medicine practitioner and a specialist in the treatment of pain, injury, infertility, depression and anxiety. She uses acupuncture, Chinese herbal medicine and computerized body scan to safely and effectively get her patients out of pain and depression and back to health. Ranie is also recognized globally as a powerful and compelling coach, she helps her clients get unstuck in their life and liberate the mind from negative emotions. She offers deep soulful counselling to assist clients to fully experience life at all levels. Ranie has a talent for inspiring others to discover their passions, achieve their goals while embracing the present moment. She educates her clients to enjoy sacredness of love, passion, relationship chemistry and embrace mindful living. She also brings over 12 years of experience as an executive business coach. Ranie is a pioneer for developing five element models to effectively diagnose business organizations and precisely predict indicators of success. She helps her clients to achieve their goals while build stronger foundation of the real you. Ranie is board certified by the Canadian College of Traditional Chinese Medicine Practitioners of Ontario). She has studied with many master Acupuncturist, Herbalists, and other renowned specialists in the United Kingdom and from China, including renowned author Giovanni Maciocia and Dr Richard Tan, Virginia Doran. Ranie offers acupuncture, herbal medicine, and manual therapy to alleviate pain, along with using emotional release technique (NET) and lifestyle coaching to help clients achieve their health and personal goals. Ranie initially discovered the benefits of Acupuncture and Chinese herbal medicine fifteen years ago after seeing her friends recover from chronic pain, infertility, depression and allergies treated solely with acupuncture and Chinese herbs. She is a firm believer that to help clients with pain and stress, it is vital to treat the complete body and mind. 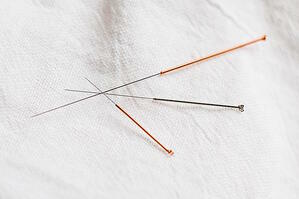 Have questions about Acupuncture? Read our Frequently Asked Questions! Acupuncture, Dr Richard Tan method, pain relief acupuncture, Cosmetic Acupuncture facelift, micro-needling, and auricular acupuncture, Biofeedback computerized body scan, Chinese herbal medicine, western herbs, neuro-emotional release(NET), Allergy elimination technique, lifestyle coaching and executive business coaching.